On a sunny day in Berkeley, California, in 1942, a woman sees a sign in a post office window, returns to her home, and matter-of-factly begins to pack her family’s possessions. 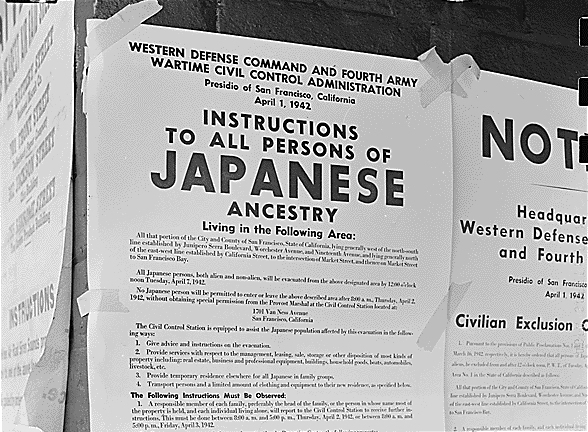 Like thousands of other Japanese Americans they have been reclassified, virtually overnight, as enemy aliens and are about to be uprooted from their home and sent to a dusty internment camp in the Utah desert. In this lean and devastatingly evocative first novel, Julie Otsuka tells their story from five flawlessly realized points of view and conveys the exact emotional texture of their experience: the thin-walled barracks and barbed-wire fences, the omnipresent fear and loneliness, the unheralded feats of heroism. When the Emperor Was Divine is a work of enormous power that makes a shameful episode of our history as immediate as today’s headlines. The meeting will be held FRI., NOV. 14th, ROOM 103.